All REMCO polishers are the 'slack side' method of polishing rollers. 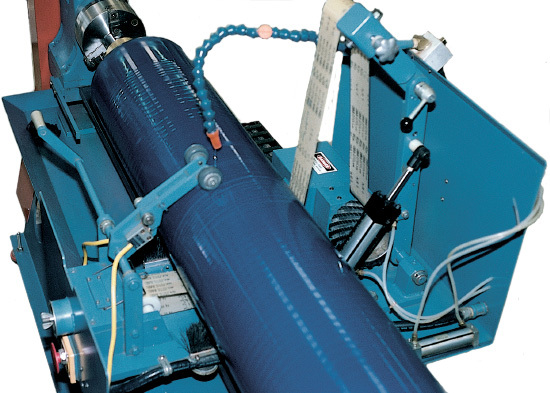 In this style of polishing, the slack side of the abrasive belt polishes the surface of the roller without altering the previously ground dimensional tolerances. Wet polishing insures that the finest finishes possible will be repeated from roller to roller and that a dust free environment will be maintained. Automatic polishing reduces labor cost by freeing up your operator to perform other tasks (such as operating other polishing machines) while the Hydro-Polisher is running.